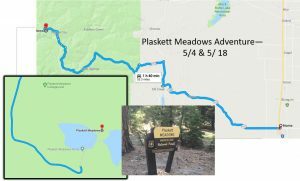 The Plaskett Meadows Adventure – Copyright © 2019-2025 Glenn Amateur Radio Society. All rights reserved. 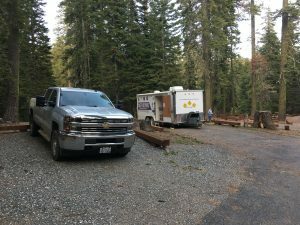 Setting up the evening of May 4, 2018, five energetic adventurers headed to Plaskett Meadows in Western Glenn County to explore the use of a program, Easypal (http://easypal.org/, http://www.hamradio.me/digital/easypal-image-transfer-made-easy.html). 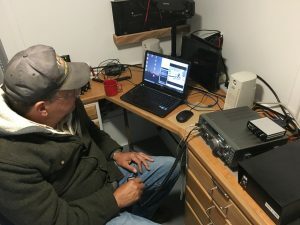 Ian Turnbull (AF6OA) is an experienced user of the program and brought along the necessary gear including a Kenwood TS-140S. 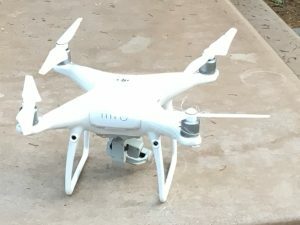 Using an EFHW-8010 end fed antenna provided by Bob Wirth (KC6UIS) and launched into a 100′ pine tree using his drone (DJI-Phantom), photos were shared with Tom Henthorn (KI6WAN) and Keith Koeppen (KM6DAL) in Redding using the NVIS mode. 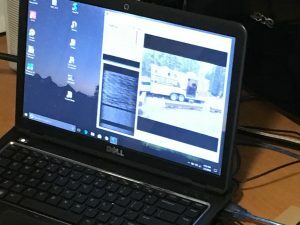 Between 0630 and 0830 80m (3875MHz) was propagating sufficiently that 4 photos were sent and received in Redding and visa versa. As band conditions moderated or deteriorated, the group made use of one of the nice features of Easypal called BSR. The BSR function provides the ability to reconstitute a picture. The program notes the portions of the picture which have been received and augments the original transmission by filling in the missing photo data thus resulting in a complete picture. If the original transmission doesn’t include enough data to make the BSR usable, a second or third initiating transmission can always be sent. In addition to those already mentioned, Mike Ellithorp (KF6OBI) and Phil Zabell (KI6SMN) brought the Disaster Response Trailer (DRT) to the meadows to be used as an operating QTH. Jacob Turnbull was also present to help with set up and take down. The two and a half hour trek (on the upper end of the road there were places where 7 mph while pulling a 10GVWR trailer was the fastest speed at which to be safe) on dusty FH7 was well worth while. All returned to their home QTH satisfied that the time had been well spent. And, being hams, even if the bands had not cooperated, there was plenty of conversation and information sharing.